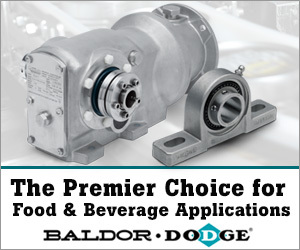 Like corded tools, brushed motor tools are slowly becoming less and less sought after in the industrial marketplace. Why?—Because when power tools can offer workplace professionals more freedom, power and control, they can do their job better. The distinction lies in the construction of the motors. In both brushless and brushed electric motors, magnets are responsible for the spinning (rotary) motion of the motor shaft. However, the unique components that generate the electromagnetic field, which keeps the shaft spinning, are ultimately what contribute largely to the drill’s capabilities. In brushed motors, the power supply runs through two brushes (little blocks made up of small carbon filaments) on opposite sides of the motor’s shaft. A brushless motor, however, requires an additional set of electrical componentry (circuit board and sensor) to produce the opposing electromagnetic fields. Okay…So what does that mean for you? As mentioned, the brushes in a brushed motor are in constant contact with the rotating commutator—this creates a lot of friction. In addition to being noisy, this friction creates heat, resulting in energy loss and wear and tear. With brushless motors, the rotor isn’t in contact with anything—meaning less noise and nothing to wear down over time. In this regard, they’re not only much more efficient and longer-lasting than brushed motors, but do not require brush replacements. The elimination of the friction-producing brushes also causes brushless motors to be significantly more powerful than brushed motors, given the same voltage. Additionally, with a brushed motor, you get the same amount of current passing through the motor at any given moment—no matter what task you’re doing. In a brushless motor, because the circuit board delivers current directly to the stationary copper coils, it’s able to adjust the power supply depending on the task you’re doing. The only downfall to brushless motors is cost. The sensors and electric circuitry that’s needed to operate them are complex, and complex things are not cheap. However, investing in a newer, brushless tool upfront will get you a more powerful, energy efficient tool that will outlast its brushed counterpart—ultimately getting you more bang for your buck. The DeWalt FLEXVOLT 60V MAX* Cordless Cut-Off Saw is one of the many cordless, brushless power tools we offer that can improve your day-to-day job site tasks. It allows for instant on, fast and efficient cuts, and scores in concrete and masonry materials—as well as steel and rebar. See the features that set this brushless saw apart. Want Exclusive Deals On DeWalt Power Tools For Your Next Job Or Project? 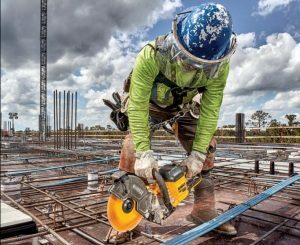 Thanks to partnerships with industry-leading names like DeWalt, we offer a wide range of high-quality tools and accessories that are built to last and perform reliably for a myriad of applications. For exclusive deals on DeWalt FLEXVOLT power tools for your next job or project, contact IBT Director of General Industrial Products, Chris Dowling, today!